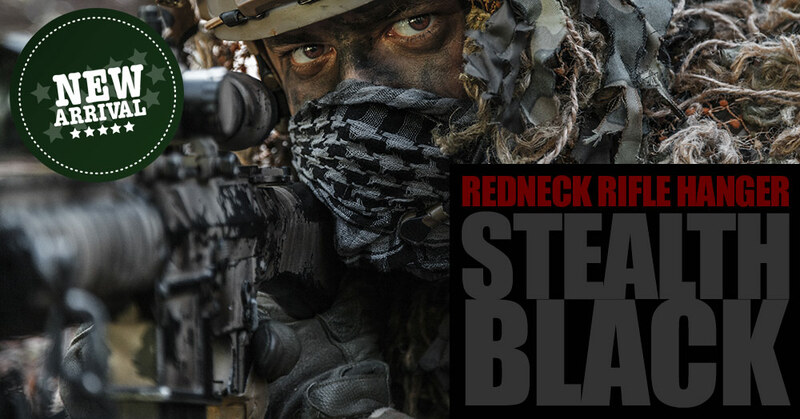 Cheap Christmas gifts for guns aren’t always easy to find. 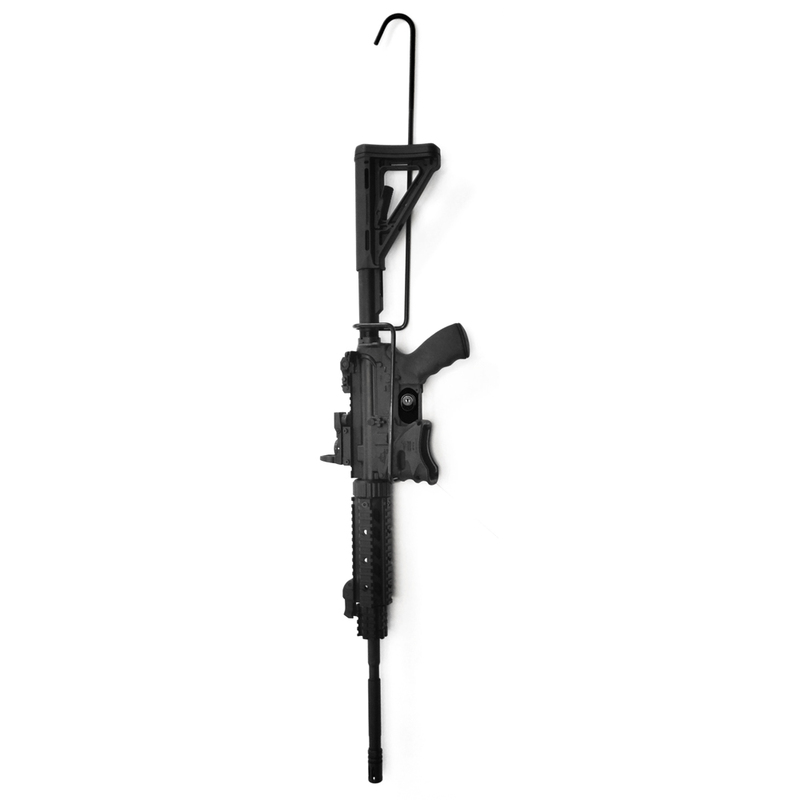 A Redneck Rifle Hanger is the perfect cheap Christmas gift for guns because it’s such an easy and affordable (as cheap as a box of good quality ammunition), way to hang a variety of different AR-15 and similar rifles. 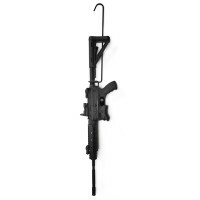 Wrapped in a tough, vinyl coating, the Redneck Rifle hanger will protect your AR-15 and will last a lifetime. 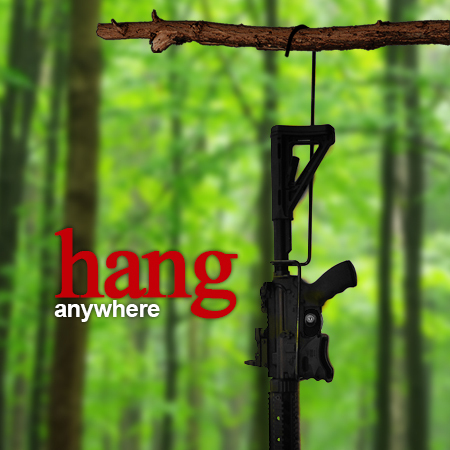 Because the Redneck Rifle Hanger is so light and will work with almost any AR-15 platform rifle, you can easily strap it to your sack and take it with you into the backcountry, giving you the option of keeping your rifle off the ground, out of the way, and easily accessible by giving you the ability to hang your rifle anywhere you’d be able to hang a coat hanger. 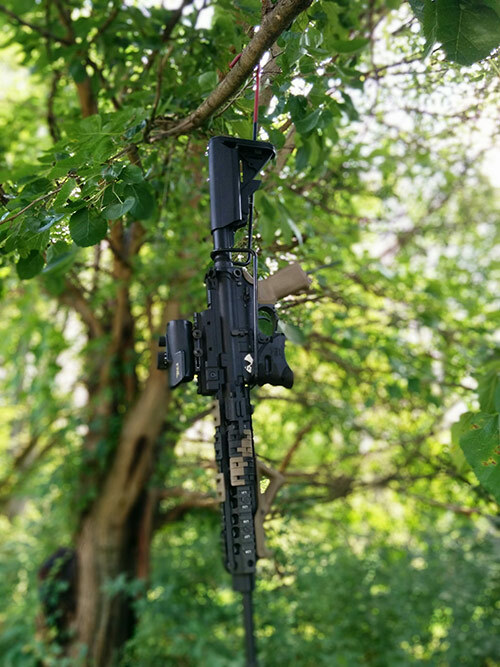 Don’t have a place to hang your rifle? Hang it from a sturdy nail, screw, rope, or any other item that can hold the weight of your rifle. Strength: Check out the two cinder block torture test. 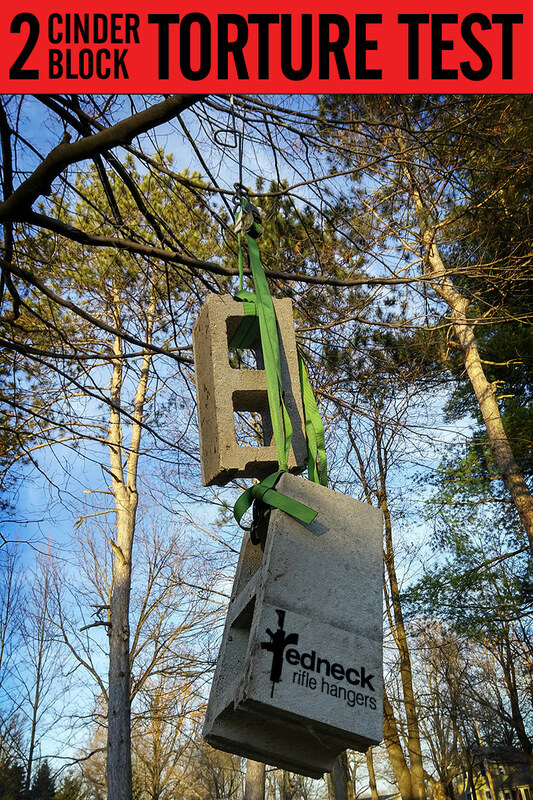 We hung two full-size cinder blocks (weighing 60+ lbs) from a single rifle hanger and not only did it hold, but it was ready to handle even more! 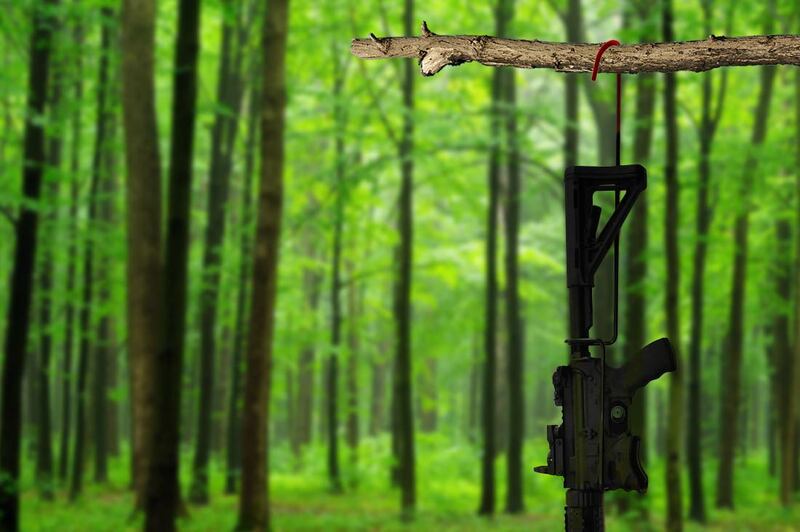 By design, the Redneck Rifle Hanger is made to be as strong as possible. 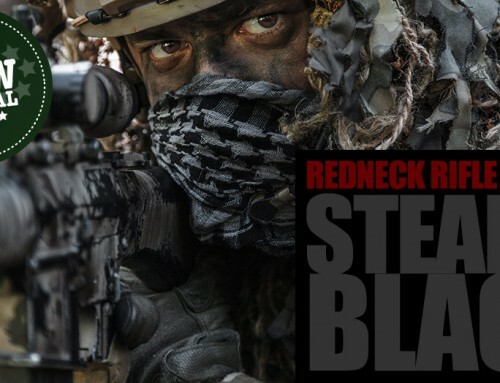 This means that it can handle your custom AR-15 optimized to be as light as possible as well as the .450 Bushmaster, Thumper or other heavy variant. Sometimes it’s hard to find cheap Christmas gifts for guns that are this useful. Not anymore.